This month we have a very special Member of the Month! “Hi, I am R. Sonciré Brown, people call me Ray! I came from Arizona to attend Body by Dion’s BootCampParty. Knowing Dion for 40 years I trusted him to be able to train me with excellence. I had not worked out in many years, and being a plus sized woman, had been very self-conscious to even try in the presence of others. The men and women at this Boot camp have been so pleasant, kind and supportive that I dropped all fear of working out in public. The age of the group range from 20’s to over 80. The exercises given are modified for each person’s level of experience and ability. Dion is welcoming and fun! However, at times, the Drill Sergeant in him comes out, so you don’t get to slack up or cheat yourself out of the workout that will change your life. 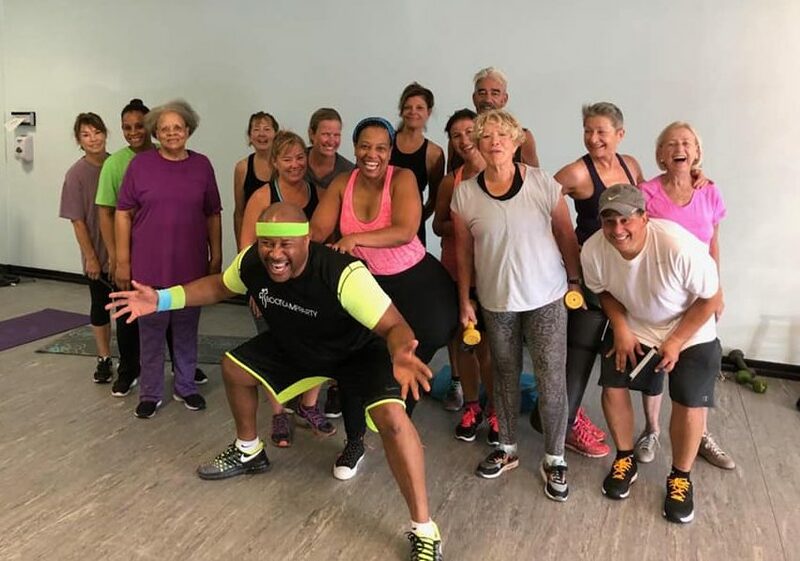 I am so glad to have come and attended this workout in person first, and I look to finish the Boot camp party online after I leave. I am thankful to the men and women of this #AutumnBottom Bootcamp for their example of what can be accomplished by simply showing up and putting in the work. Dion had shared with me how he wants the workout to be fun so it doesn’t feel like work. This workout not only builds your physical body, but also builds your confidence, releasing positive self esteem and keeps you coming back for more.